Netflix’s all-you-can-eat model is coming to local theaters. This week, the AMC Theaters movie chain launched a partnership with MoviePass that allows subscribers to see one movie a day for a monthly fee starting at $30, The New York Times is reporting. The new program will launch this January in Boston and Denver; more cities will be added later. Using the service is, unfortunately, a bit clunky by design. Subscribers receive a physical MoviePass membership/debit card. When you want to see a movie, you need to check in to a showing using the MoviePass mobile app, which loads the full price of the movie onto the card. You then show up at the theater and present your MoviePass card as payment. The basic level membership to MoviePass costs between $30 and $35 per month for standard format films, depending on theater location. 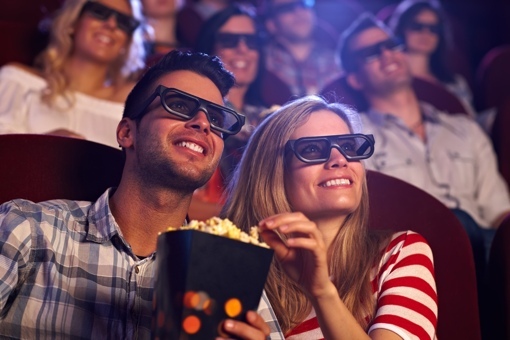 A more expensive, $45 per month subscription allows access to movies in any format, including 3D and IMAX. Any popcorn, candy and soft drinks will cost you extra, of course. Is the AMC MoviePass offering right for you? Consider this: The New York Times notes that the average AMC ticket price is $9.48, so you’ll need to average at least 4 movies per month (about once a week) to make it a good value. It’s great for movie addicts, but not so for most subscribers. “Some overuse; a lot underuse,” admits MoviePass co-founder Stacy Spikes. You can learn more about AMC’s MoviePass partnership and the service by visiting moviepass.com.